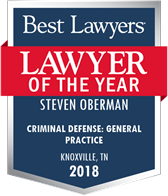 While the attorneys of Oberman & Rice most often handle cases in Knox and surrounding counties, our firm is also available to represent those charged with Tennessee crimes across the state. Click on the links below for information about the Tennessee offense of DUI. Our lawyers are humbled and honored to have been recognized for their accomplishments. To learn more about each award and the respective attorney so honored, please click on the badges below. 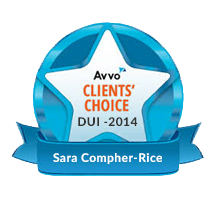 You may also click here to review additional awards for Steve Oberman or here for those for Sara Compher-Rice. 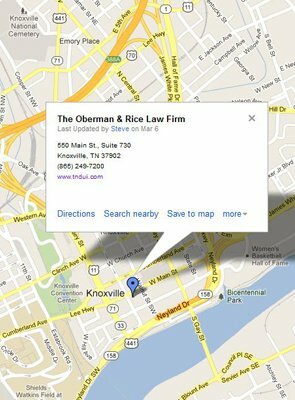 View The Oberman & Rice Law Firm in a larger map. 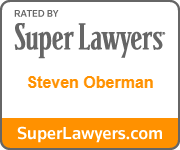 Copyright © 2002-2016 Oberman & Rice Law Firm. All rights reserved. Re-publication or redistribution of this content is expressly prohibited without the prior written consent of Steven Oberman. 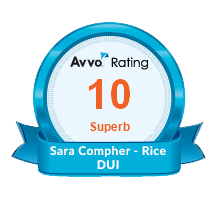 The information within this web site is intended to provide some general information about DUI laws and about Knoxville, Tennessee DUI Lawyers Steve Oberman and Sara Compher-Rice. Mr. Oberman and Ms. Compher-Rice anticipate that you will have questions about how they can best represent you in your Tennessee DUI, criminal or traffic case. 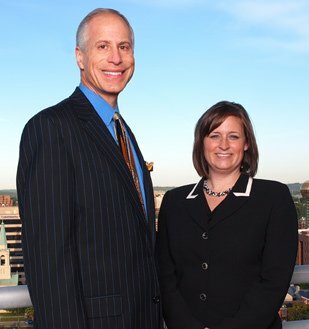 Please do not hesitate to discuss with Knox County DUI Attorneys Steve Oberman and Sara Compher-Rice any aspect of your Tennessee DUI case, their resources, or how they can better represent you. 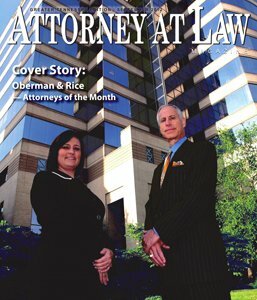 It is their hope that you will be completely satisfied with their work and will become one of the many clients of the Oberman & Rice Law Firm who refer our firm to their family and friends.